GIANT clothing manufacturer and retailer, Edgars Group, says it will soon resume garments and clothing exports into the region. "We are looking at resuming exports into the region and we are waiting for the go ahead from our parent company Edgars South Africa. "We ceased exports at the height of the hyper inflation in 2008 and we are re-penetrating the export market to South Africa having increased our throughput at our factory." 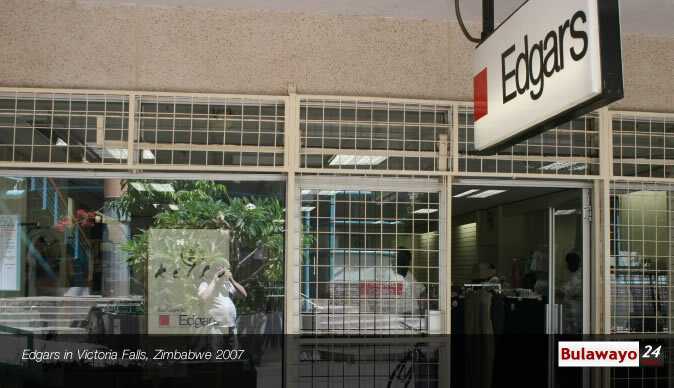 Carousel is Edgars' factory division, which at the moment employs 400 people. Mr Tanyanyiwa, who earlier in his presentation during the engagement seminar had told participants that they would in the next two months resume exports into the region, said his company was going into the export market to grow the business and to raise foreign currency. Towards the end of last year, the Reserve Bank of Zimbabwe increased the export incentive from five percent to 12 percent and above for top exporters as part of efforts to boost foreign exchange generation in the economy. The move by the Central Bank is meant to bolster liquidity on the back of biting cash shortages and depleted nostro reserves, which have induced a strain on the viability of local manufacturers resulting in a weakening of the supply of major consumer goods on the market. "We are expecting that in the next two months we will be resuming exports," Mr Tanyanyiwa told the participants. Before suspending the exports, the Zimbabwe-Stock Exchange-listed firm exported into the region as well as European markets to countries such as Germany. In the 2017 annual report, Edgars Group chairman Mr Themba Sibanda said his organisation registered improvements in merchandise assortments, customer service, promotions, and revamps during the period under review. He said the new political dispensation together with utilisation of excess Real Time Gross Settlements balances resulted in improved consumer confidence, which contributed to stronger second half sales. "Sales of merchandise for the year at $62,9 million were 25 percent above 2016 ($50,3 million). "Group margins were maintained at 43 percent while credit management and debt collection costs continued to be well controlled and resulted in savings of $3m on last year (55 percent)," said Mr Sibanda. He indicated that other operating income and expenses were impacted by increases in software and computer costs, bonus payments and a reduction in commission and other income. "The decrease in finance income is due to the reduced debtors book and arrears levels," Mr Sibanda said. On the outlook, Mr Sibanda said limited allocation of foreign currency to the clothing sector was of grave concern to the board and management. "Numerous measures are being pursued to mitigate this risk, which will dampen growth prospects. "We are currently adequately stocked in most departments and the sales and profit performance in 2018 is ahead of last year. Much focus will be given to development of our staff in 2018," he said.